The Natural Asset Exchange(NAE) Alpha 1.0 was first showcased at the World Travel Market Africa event in Cape Town, South Africa on 19th April 2018. An event which attracted more than 600 global travel and tourism exhibitors and approximately 5000 travel and tourism professionals. What was particularly encouraging for us as a team was the was the huge focus on Responsible Tourism, with a number interviews, panels and debates focusing on topics dear to our hearts such as carbon mitigation, conservation, biodiversity and overtourism, to name but a few. 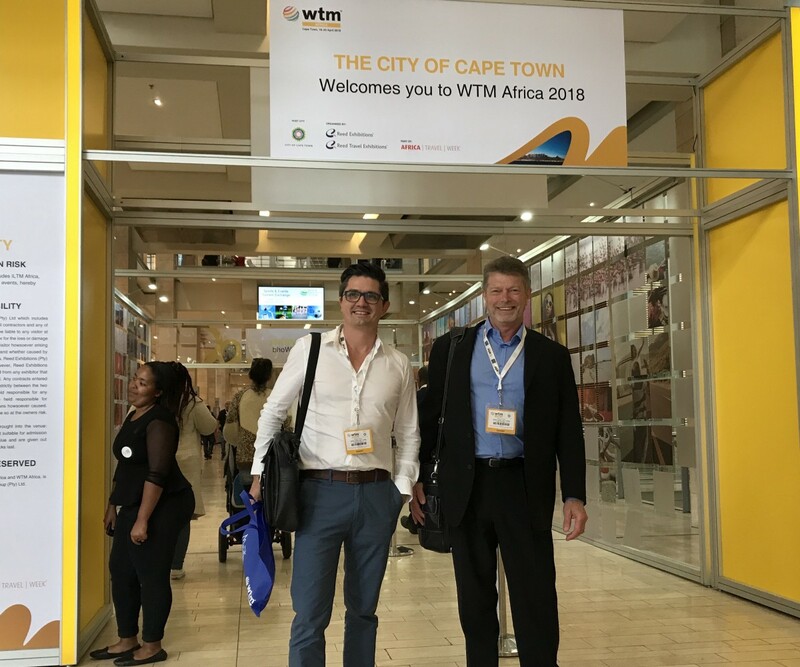 The WTM Responsible Tourism initiative aims to unite travel companies, organizations and individuals interested in spreading sustainable practices and ethical methods within the travel industry to build a sustainable and responsible future for travel and tourism. Our session was titled “Preserving Our Planet”, focusing on Environmental Sustainability in the travel, tourism and hospitality industry, and as such, the Alpha 1.0 release of the NAE provides functionality targeted at these areas. But before diving into functionality, it is important to define some key concepts. · Renewable resources such as fauna & flora that may be exploited indefinitely, provided the rate of exploitation does not exceed the rate of replacement, allowing stocks to rebuild. Renewable resources exploited faster than they can renew themselves may effectively become non-renewable, such as when over-harvesting drives species extinct. · Non-renewable resources that don’t regenerate after exploitation within any useful time period. Non-renewable resources are sub-divided into reusable (e.g., most metals) and non-reusable (e.g., thermal coal). The Primary Goal of EARTH Token and the NAE is to preserve our Natural Resources or Assets for future generations. Therefore, only accredited projects or initiatives that have a demonstrable positive impact on our environment will be eligible for registration on the NAE as Asset Providers. · Clean Energy Projects — Waste to Energy and Renewable Energy (e.g. Solar & windfarms). · Carbon Sequestration and Avoidance Projects such as reforestation. · Preservation Projects focusing on ecosystems, wildlife, natural habitats and so forth. The list above is by no means comprehensive and projects are not limited by size. 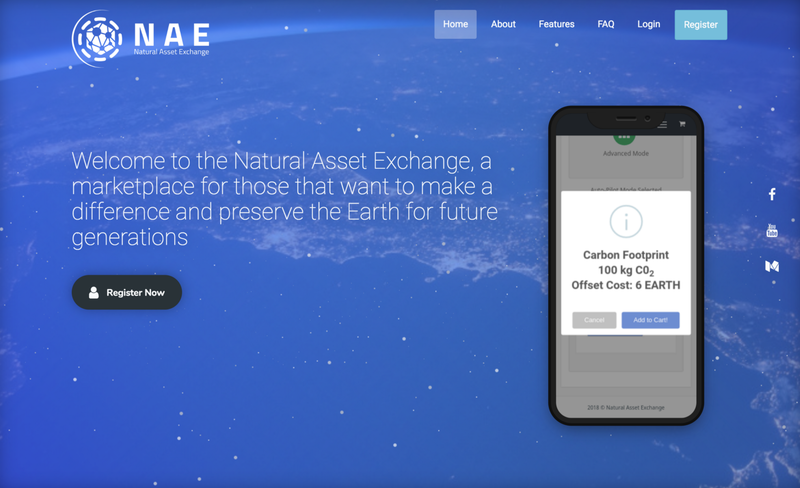 On the demand side of the NAE, our mission is to make these environmental assets available to individuals and corporations via a simple intuitive interface for purchase, using EARTH as the settlement mechanism. It is also important to note that the NAE is not a Cryptocurrency exchange and will not convert Fiat currency (e.g. USD) into EARTH. EARTH will have to be purchased via a credible exchange such as QUOINE. b) provide simple guided applications for both individuals and businesses that that will allow them to use EARTH to offset Carbon Emissions, but more importantly, to create a community that will be engaged in the product development process in the future, but more on that later. Below is a brief functional overview of the NAE Alpha 1.0 release. A user can interact with the NAE platform as either an individual or as a corporate, the later providing higher volume purchasing and the former tailored towards micro purchases with guided calculations for ease of use. Individual Functionality allows the user to choose between a “Guided mode” where the required offset and cost is automatically calculated based on a few variables and “Advanced mode” for those who know the quantum of offsets they wish to purchase. Guided mode allows the user to offset items such as their household electricity consumption, daily commute, travel or event attendance. The system provides the amount, the unique EARTH address to send the payment with QR code, once payment is confirmed it generates a PDF certificate with the transaction being recorded on the Ethereum blockchain and likewise the subsequent inventory smart contract updated. The certificate has two hyperlinks embedded which link to: 1. The purchase record and details stored on the blockchain and 2. The inventory record on the blockchain. Corporate Functionality allows the user to offset larger volumes as well with a higher degree of precision. As an example, whereas the individual user may offset his attendance at an event the Corporate will offset the entire event, or a large portion thereof according to their needs. Corporates are able to purchase multiple assets at higher volume and with pricing reflecting the wholesale amounts. The supply side user will be able to load their project onto the NAE and track its inventory status on the blockchain, the payment and settlement will be near real-time and the whole sales process automated — in this release we have focused on getting the flow to work seamlessly however we are not automating the loading of new assets just yet, this we are doing manually as we onboard new supply side partners until we reach a stage where we are comfortable that the onboarding process is smooth and battle tested. We are currently recruiting a broad of Asset Providers on the supply side, covering areas such as clean energy, carbon sequestration, carbon avoidance, CDM and conservation projects, to name but a few. These environmental asset providers will be added on an ongoing basis, once the technical aspects of the platform have passed technical review, which should be in the next month. On the demand side of the equation we are focused on building momentum at the grass roots level with individuals, while also focusing on corporates and will soon be launching our ambassador program Enlighten & Inspire which will focus building communities that will spread the word and collaborate products and strategy moving forward. We will also be launching our Envision & Ignite partner program focused on building our partner ecosystem and platform portfolio, so watch this space as more details will shared shortly. 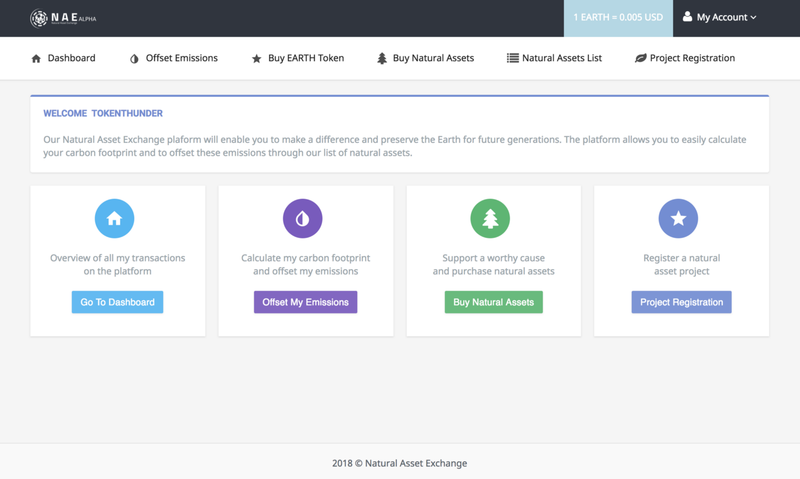 For those keen to explore the current live Alpha version please follow this link: https://naturalasset.exchange we welcome any suggestions or feedback! A decentralised blockchain based natural asset exchange with an accompanying Earth Token (EARTH) cryptocurrency allowing stakeholders in the USD $120 trillion natural capital value chain to explore vast untapped market segments.